Krishna's magnanimous childhood pastimes are so great that simply chanting about them vanquishes the contamination of the material world. 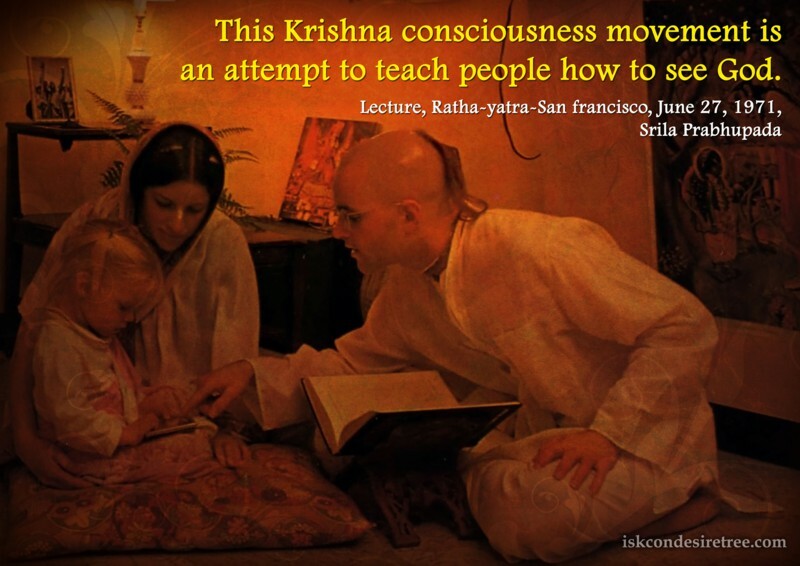 There is no question of darkness where there is light and Krishna Consciousness is the light that dispels the darkness of material sense enjoyment. Krishna may crush our ego, pulverize it, crush it to powder, make it into granules. 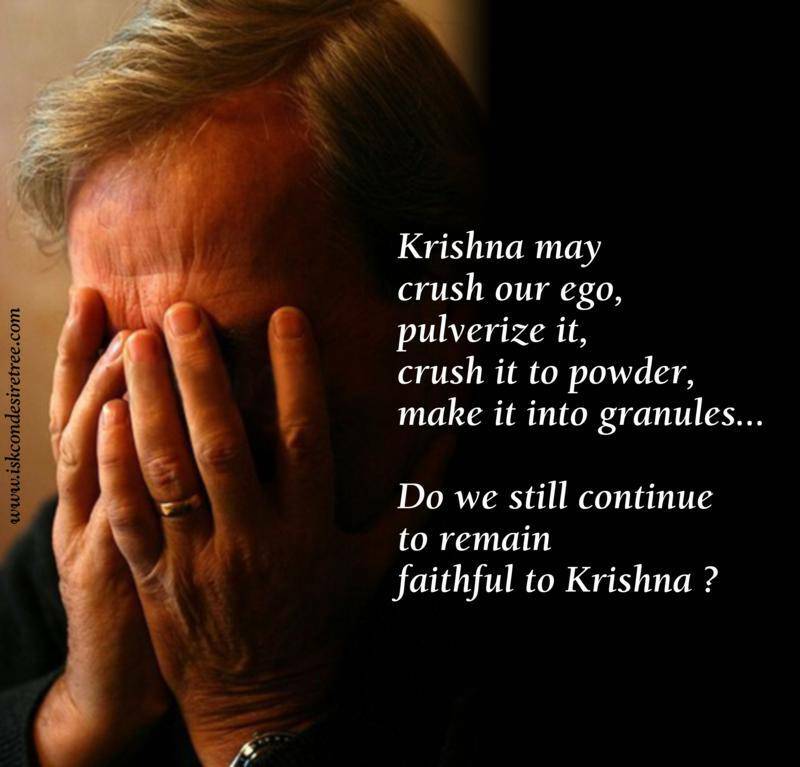 Do we still continue to remain faithful to Krishna? 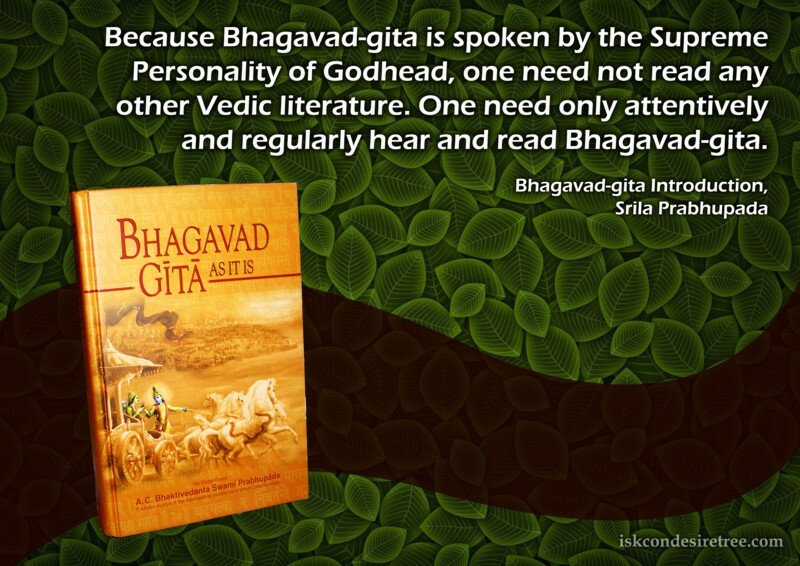 Because Bhagavad Gita is spoken by the Supreme Personality of Godhead, one need not read any other Vedic literature. One need only attentively and regularly hear and read Bhagavad Gita. 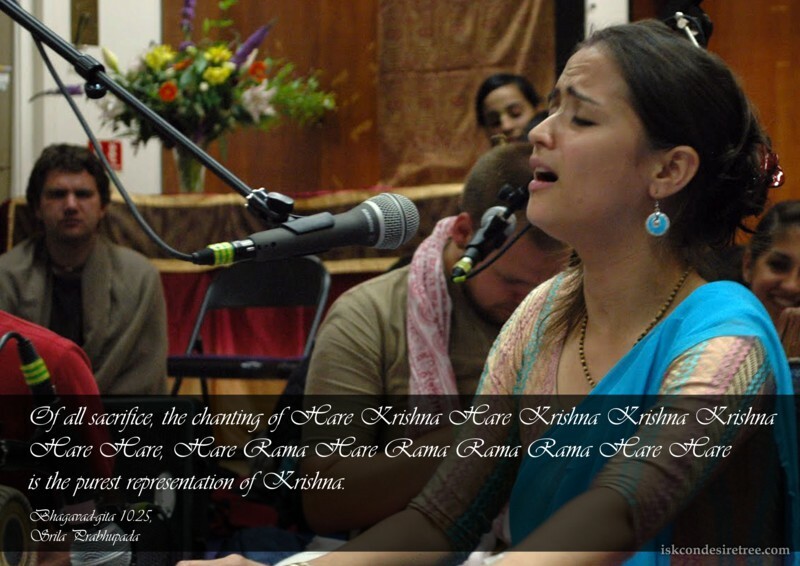 Of all sacriﬁces, the chanting of Hare Krishna, Hare Krishna, Krishna Krishna, Hare Hare/ Hare Rama, Hare Rama, Rama Rama, Hare Hare is the purest representation of Krishna. 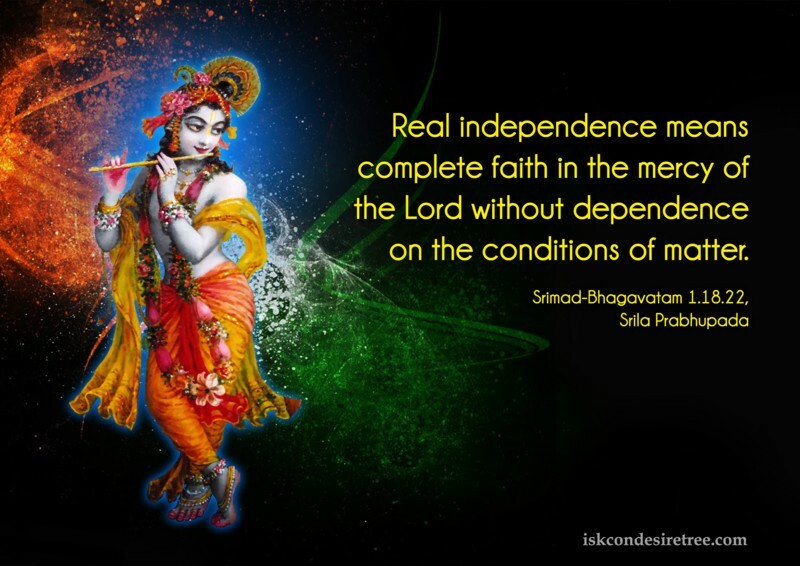 Real independence means complete faith in the mercy of the Lord without dependence on the conditions of matter.